Winter themed wedding is just as fun as summer and spring. The dreary winter shouldn't dampen your hopes of having a fun wedding. Of course, all the fun comes with great planning. Here are some of the ingredients that can make a bleak winter into a warmth filled one. While planning a wedding based on season, you should go for colours that define the season. For winter, colours like whites, pale blue, pale pink, etc can create the effective illusion of wintery atmosphere with accents of warmth. Choose two pastel colour palettes. For a Christmas themed winter wedding, greens, reds and gold make the perfect trio. Avoid yellow, purple and violet. You can use these too if you combine these colours with silver or white. The save your dates and invitations should speak of winter all the way. One way of doing that would be include designs from the winter environment such as snowflakes and snowman. You can go a step ahead and include dried flowers and winter leaves or plastic miniatures of winter flowers attached to the invitation. Winter being Christmas time, you can center your wedding favours towards the Christmas theme. You can use snowflake, pinecone, Christmas tree and many other Christmas related items as favours. Chocolates, truffles and candies are popular. You can also extend the it to the ornaments, napkin rings, card holders and candles. 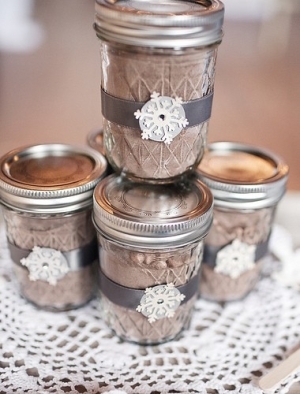 Incorporating the winter theme in your wedding idea is the ultimate goal. Embroidered tapestries, silver candelabra, sparkling tiny lights and hues of warm colours like reds, greens and bit of blue define the décor of a winter wedding. Use seasonal flowers and colour palettes that speak of Christmas. But take care not to overdo it and make your wedding avenue look like Santa Claus's headquarters! Winters are synonymous with elegance and soberness. Gentle piano and traditional wedding music would suit the best. 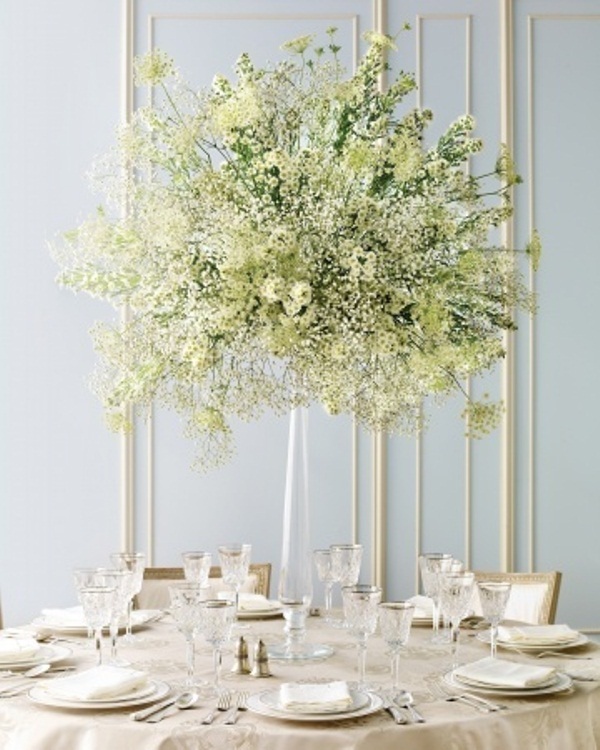 Flowers such as pale roses, orchids, lilies and calla lilies blend in perfectly with the theme of winter weddings. The cake is the star of the day next to the couple. Hence, even if everything else goes wrong, the cake needs to be perfect. Traditionally a wedding is white. Hence, accenting with pink, blues, reds and greens is a good idea. Tones of silver and blues are perfect for placing the cake on. Warmth imparting food is what you must think of while deciding your winter wedding's menu. Summer cocktails and mocktails might not work here. to add the warmth, start with whatever is seasonal. Winter veggies and fruits are said to produce cosy warmth. Hence, cook up a menu that surrounds the 'warmth' theme. These are the must haves seven in a winter wedding accessories list. Start planning your winter themed wedding with these seven as priorities to start with.